BARRANQUILLA — St. Croix sailor Peter Stanton finished with a bronze in the sunfish division to claim the territory’s first medal in the 23rd Central American and Caribbean Games in Colombia on Wednesday. Stanton, working out of the St. Croix Yacht Club, is an accomplished sailor having won local sunfish regattas and represented the U.S. Virgin Islands in international and national events, including previous CAC and Pan American Games. The regatta was held at Marina Puerto Velero, the same venue used for the 2018 South American Championships earlier this year. Twelve sailors, each representing a different nation, participated at this year’s Olympic-style regional games. David Hernandez had a tight battle with Cuba’s Lester Hernandez, trading firsts and seconds over the course of the 9-race series. 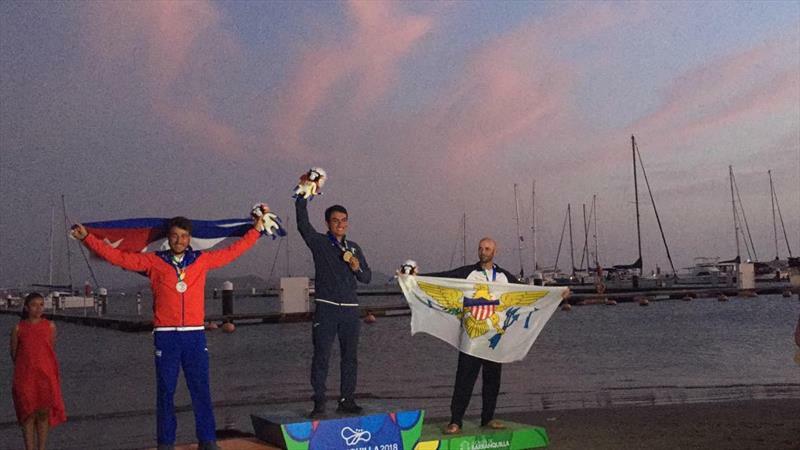 The Cuban sailor clinched the silver medal, while Stanton took the third-place trophy.